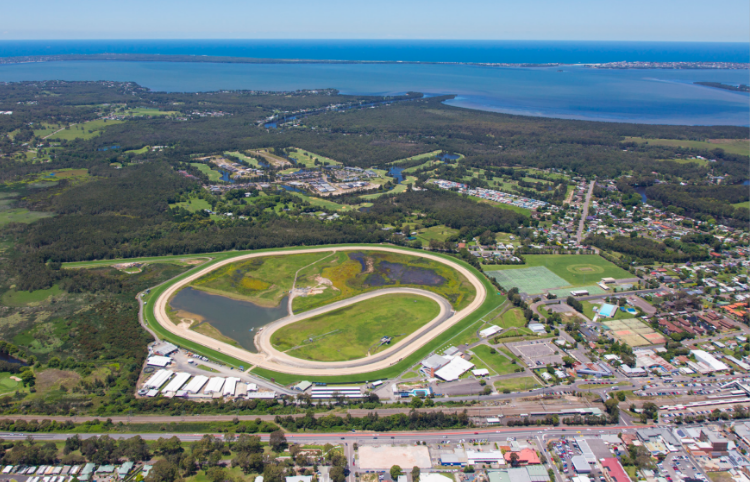 Wyong Race Club has unveiled its $6 million Track and Training Master Plan which includes an all-weather training track to be built that will support an increase in the training capacity by 30% over the next couple of years. At present, there are on-course stabling facilities for 200 horses at Wyong, with another 20 to 30 horses walked-in each day. The Club is planning to increase capacity to around 300. These exciting new developments are in addition to over $1m in capital improvements that have been completed in the past 12 months at Wyong. The Club’s 2018 list of capital projects that have been undertaken includes their impressive new Howarth Street Members and public entries at both gates, the new concrete plinths and running rails installed on the slow sand track late last year, the addition of air conditioning in the club’s popular parade ring marquee, a new motor and major upgrade of the lift in the Main Stand and solar-powered warning lights for trackwork. Wyong Race Club's CEO, David Jewell, said the $6m Track and Training Master Plan had been in the pipeline for some time with the Board recently signing off on all aspects before the Plan was shared with Racing NSW and the local trainers last month. Jewell said the stabling developments are to be funded by the Club and will happen this year, but the Club will need to make application to Racing NSW for financial support to build an all-weather track and will talk to Racing NSW further about its longer-term stabling plans. “While we have had initial discussions with Racing NSW's CEO, Peter V’landys, that were very positive, there is still a lot of work to be undertaken over the next couple of months before detailed engineering drawings and costings for the new track are able to be finalised and that project can be approved,” he said. The Club has engaged engineers and consultants for the first stage of the project to build the all-weather training track and expects to submit their development application with Central Coast Council by October and go to tender before the end of the year to build the track in 2019. Wyong is already a significant Provincial training centre providing around 2200 raceday starters each season, the second highest total of runners of any of the NSW Provincial tracks. Wyong-based trainers have won a record 243 races and more than $8m in prizemoney in the past season, yet the venue is believed to be the only major tracking track in NSW that does not have a 'B' grass training track and/or an all-weather track. David Jewell said the Wyong trainers operate with just the two sand tracks and limited access to the course proper. The Club conducts up to 24 race meetings and 8-10 trials meetings on the course and will distribute around $6.5m in prizemoney in the coming year. The key to the Board’s strategy would be a new Poly/Proride track all-weather track that is likely to cost between $3.5m and $4m. The all-weather track would complement the two existing sand tracks, providing trainers with a much need third training track surface and take the pressure of the course proper and the existing tracks. The plan provides for a 1600m x 6m wide new track to be built on the inside of the two existing sand tracks. Construction of the new track can be completed without any significant interruption to the day-to-day training routine. The Club has had Rygate Consultants, which have been involved in building the new Polytrack at Hawkesbury, as well as track developments for the ATC, undertake the preliminary design work and do a site assessment at Wyong. The Club is also preparing plans to spend around $1m building two new stable blocks and short-term is looking to relocate the workshop operation away from the stabling area, with the existing workshop to be converted to provide short-term stabling. The Club is also investigating relocating the existing tie-ups stalls as part of its long-term development plan. “Provided we get final approvals for the all-weather track, the opportunity to create some additional stabling here will be a real bonus,” Jewell said. “A number of the Club’s existing trainers are seeking more boxes already and we have regular inquiries from trainers wishing to relocate to Wyong given its set-up and central location. Growth in the training facility will provide additional employment opportunities and will secure Wyong’s future as a strategic racing and training centre.